The Sambalpur University, the only one situated in Western Odisha, started functioning from 1st January, 1967 with Prof. Parsuram Mishra as the first Vice-Chancellor. The Sambalpur University Act was passed by the Odisha Legislature on 10th December, 1966 to fulfill long cherished dream of the people of Western Odisha for establishment of a University The University was inaugurated on 4th January, 1967 by Hon’ble Chancellor A.N.Khosla. 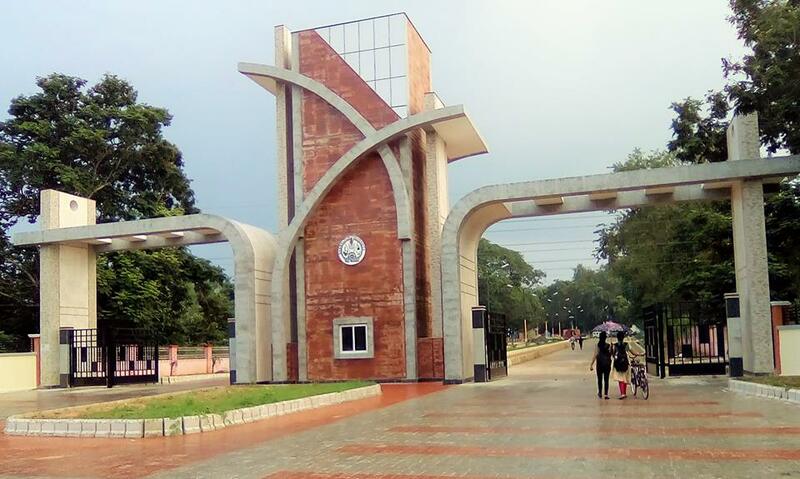 The University started functioning in 1967 in a rented private building at Dhanupali, Sambalpur and in Government building at Ainthapali, Sambalpur from 1968 to 72. In the year 1973 the University was shifted to the present campus named Jyoti Vihar at Burla, Sambalpur and located on the right side of foothills of the world-famous Hirakud Dam. It has been accredited with grade ‘A’ by NAAC (2nd Cycle). The university is surrounded by dense forest and hills. This campus is very natural and beautiful. One can enjoy the green scenery during winter and rainy seasons. The territorial jurisdiction of the University covers 10 districts of the state of Odisha namely Sambalpur, Sundargarh, Jharsuguda, Deogarh, Bargarh, Balangir, Subarnapur, Nawapara, Kalahandi, Boudh and Athamallik Sub-Division of Angul District.